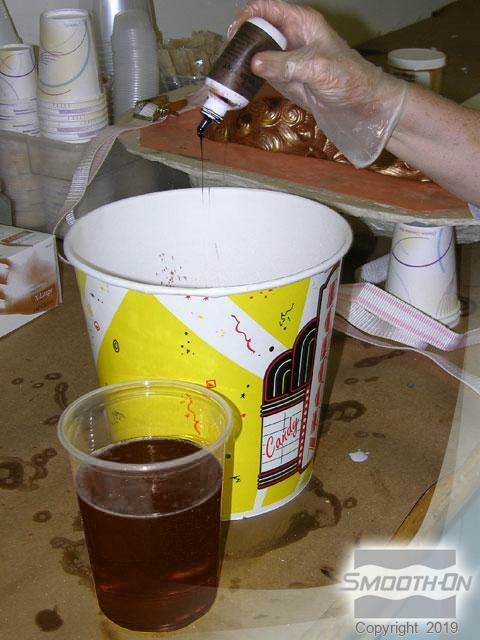 Cast Magic® Casting System is an easy way to add an endless variety of bright metallic, glitter and color effects to your castings. 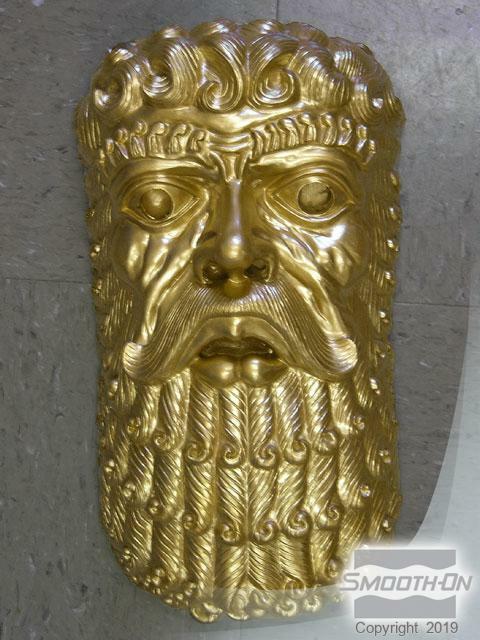 Castings are durable and UV / weather resistant, ideal for making signs, displays, special effects, etc. This system is also good for reproducing sculpture and adding different effects to models and prototypes. Save time and labor with the Cast Magic® System. 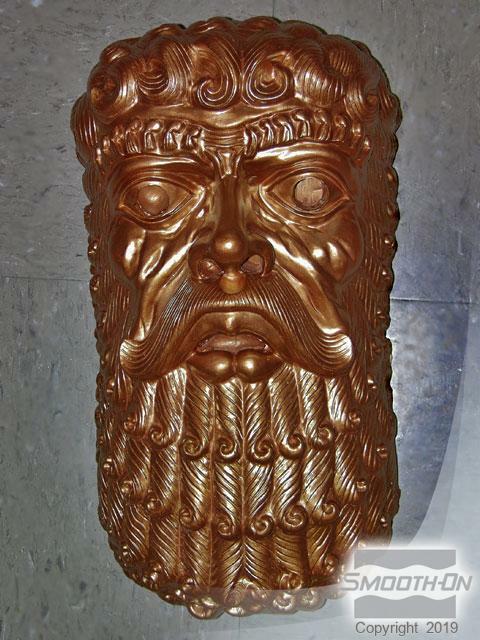 You can create spectacular effects in a matter of minutes vs. hours or days of hand tooling and finishing. 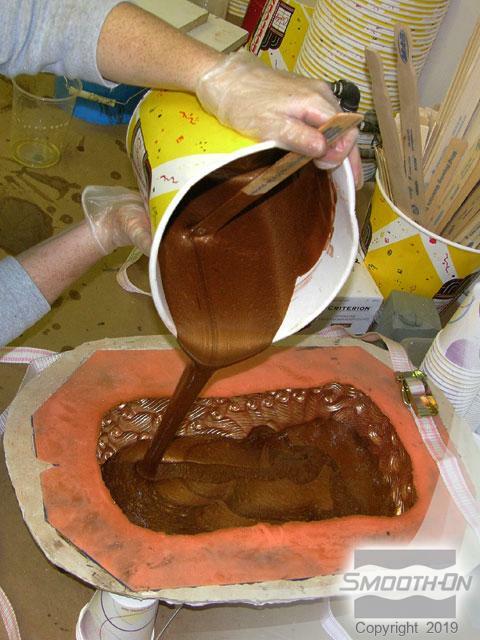 And, from one rubber mold, you can make one casting or many....that's Cast Magic®! 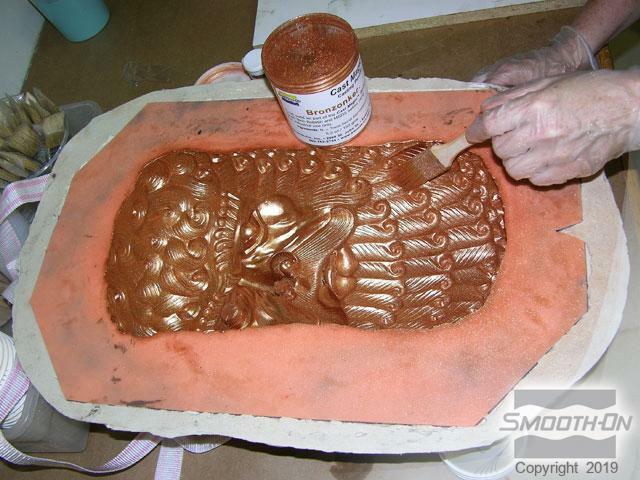 Brush Cast Magic® Bronzonker powder into a Rebound® 25 silicone mold with a Plasti-Paste® support shell. 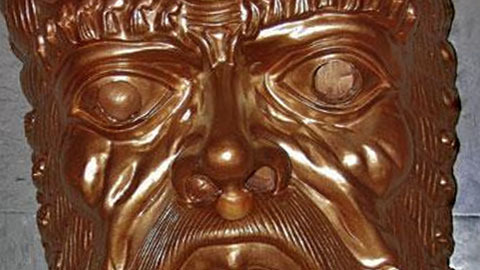 Use an Equinox® silicone mold putty to quickly create plugs for eye sockets and nostrils. 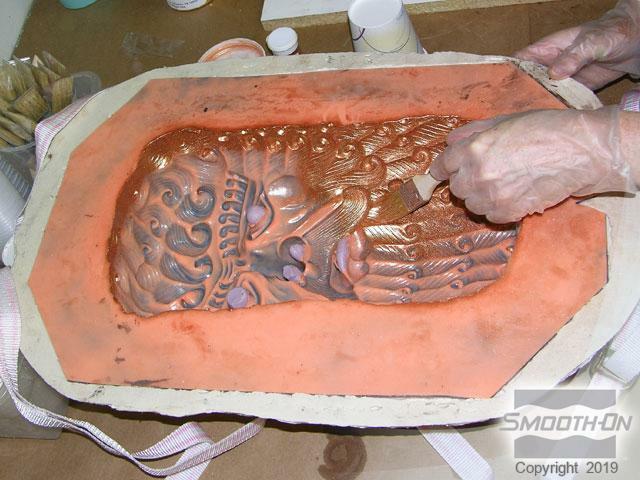 Thoroughly apply the Cast Magic® Bronzonker to the mold surface, paying close attention to deep detail and the side walls of the mold cavity. 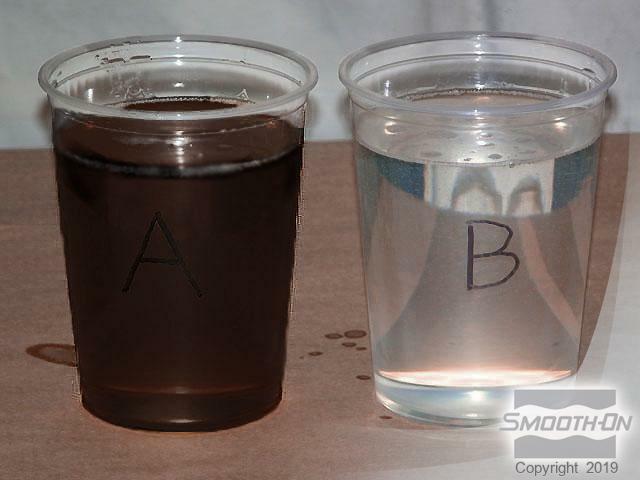 Measure equal amounts of Foam-iT!® 5 by volume, and then tint the Foam iT!® 5 rigid foam with So-Strong® Brown. Add Cast Magic® Bronzonker powder and Foam-iT!® 5 Part A to Part B. 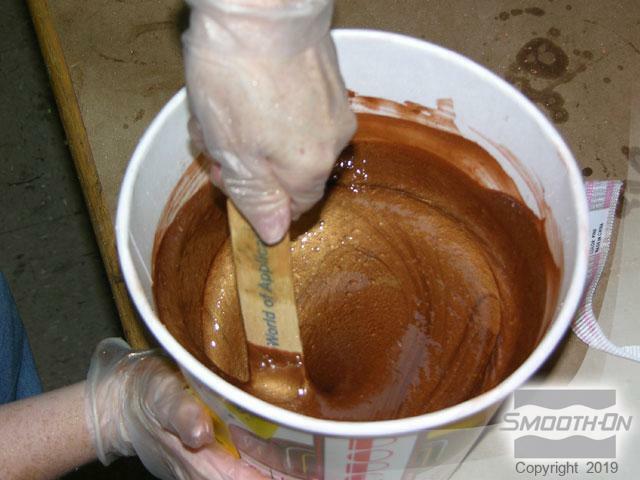 Thoroughly mix all components, making sure to scrape the sides and bottom of the container several times. 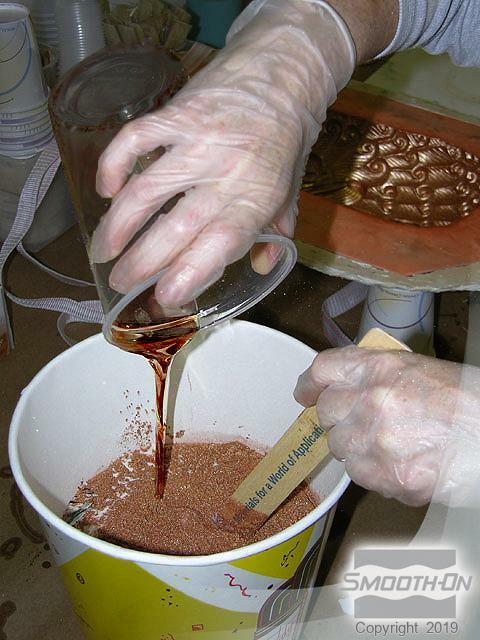 Pour the mixture into the Rebound® 25 silicone mold. 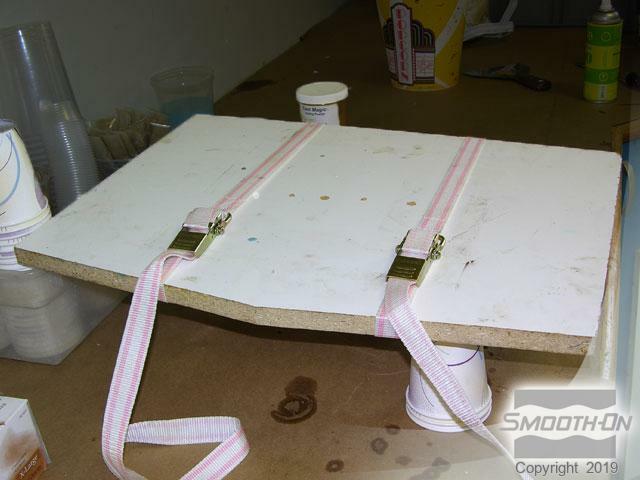 Apply Ease Release® 2831 to a backing board with several vent holes, and then strap this over the mold to provide back pressure. Allow a minimum of 30 minutes cure time, then remove the backing board and Plasti-Paste® II support shell. Next, remove the Rebound® 25 silicone rubber mold. Cast Magic® Bronzonker produces a finished piece in a matter of minutes. The images below show finished products of Foam-iT!® 5 with Cast Magic® Goldfinger and Cast Magic® Pearly Blue.